Accounting Principles: A Business Perspective by James Don Edwards, University of Georgia, Roger H. Hermanson, Georgia State University, Susan D. Ivancevich, University of North Carolina Wilmington is licensed under a Creative Commons Attribution 4.0 International License, except where otherwise noted. This is a very difficult question to answer. 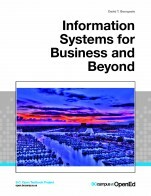 This is an accounting text with only US content and it is relatively old - 2009. It is not an appropriate text for any Canadian accounting courses that are CPA accredited - the content does not match the required coverage. It could possibly be adapted for an MBA program course, but again it is USA content, it is incorrect in some areas from a Canadian context. I can not say - I am not upto date on US accounting standards and lending policies. It is not accurate from the Canadian perspective. The accounting framework is not current - textbook is referencing 1972 standards ie page 216. Seriously outdated and not relevant. It is my humble opinion that this textbook is already out of date and should not be used in a Canadian classroom. This text is a rather heavy read with a lot of theoretical reference and content. There is little white space, examples and illustrations are buried into the text. And it is far to long with too much content for a 3 credit hour course. I think that it is consistent, just no longer relevant. I think the chapters are well broken down into manageable components. 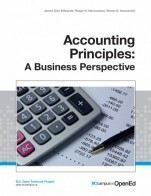 As indicated earlier I think it is a very heavy read and not use friendly as an accounting textbook. 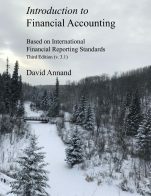 I would say the content coverage (if relevant and updated from the Canadian context) for chapters 1 - 16 would align with an Intro to Financial Accounting course, while chapters 17 - 26 would lined itself to a financial management course for MBA students. Yes the topics themselves are clearly defined and outlined and do have a rather logical flow. The writing style is I think overly academic for a subject that at a first year level is relatively applied. I think the illustration themselves are not very good and seems to blend into the text. I think this makes it harder to ready and comprehend the materials. No apparent errors that I identified. Not really relevant in an accounting or financial text. There are no companies names or examples that were used that I classify as insensitive or demeaning. This is not a Canadian Textbook - all of the authors and participants are American. 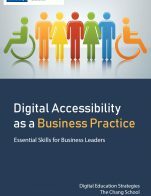 Therefore, this has very limited relevance in the Canadian context from a number of perspectives particularly as it relates to designating bodies, the accounting designations themselves, the accounting framework. Given this I think this would be a very poor choice of textbook in a classroom of Canadian students. This would be confusing. This textbook is also nearly 8 years old. Even if it was Canadian I would likely not use or adopt it. There are far superior relevant products available in the market place. 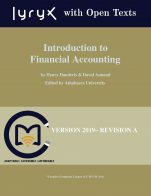 This has been my first exposure to the Manitoba Open Textbook offerings and I am concerned at the lack of quality of the textbooks available in my disciplinary area (Accounting).